According to Englert, the team of architects tried to answer what are the differences between Galvalume and Galvanized Steel when used in roofing. First, a little bit of background. Galvalume was invented by Bethlehem Steel in 1972. It is a trademarked name, but many people use it as a generic term to describe a metal roofing product consisting of steel coil coated with a metal alloy. That alloy is 45% zinc and 55% aluminum and looks similar to galvanized steel, but the visible crystals are smaller and close together, giving it a smoother appearance. Galvalume has a cousin, Galvalume Plus. The only difference is Plus has a thin, clear acrylic coating. BecauseGalvalume Plus can be roll-formed dry without vanishing oil, it is very easy to form and install safely. The combination of zinc and aluminum in Galvalume enhances both the positive and negative effects of aluminum. Galvalume has barrier corrosion resistance and heat resistance similar to aluminized material and good bare edge galvanic protection and forming qualities like galvanized material. Consequently, Galvalume and GalvalumePlus will resist rust, the elements and fire while providing a sturdy and protective covering. Galvalume is also more corrosion-resistant than galvanized steel, but because aluminum provides barrier protection instead of galvanic protection, scratches, and cut edges are less protected. Galvalume is offered in both bare and pre-coated versions. Most Galvalume like galvanized steel– is coated. But Galvalume has an excellent performance life in bare exposures as well. Both galvanized steel and Galvalume weigh 100 to 150 pounds per 100 square feet and contain about 35% recycled materials. The cost of Galvalume and Galvalume Plus are about the same as that of galvanized steel.The coating used on Galvalume is very important because it is critical to the length and conditions of the entire warranty of the panel product. Coated metal roof panels have progressed from a single coat straight polyester paint system in the early years to Poly vinylidene fluoride(PVDF) acknowledged as the premium resin for coil coatings. It is a kind of fluoride, a family that includes such well-known products as Teflon and Halar. PVDF resin has superior chalk resistance and gloss retention as well as stain and chemical resistance. It is softer than polyester, making it highly formable without risk of cracking. Current pretreatments and primers along with superior paint coating have increased product warranties dramatically. however, some people only ask if there is a warranty not how many years the warranty lasts, and most people do not check to make sure that they are not getting the inferior straight polyester system. Galvalume should not be used on, in, or around concrete or mortar. Concrete and mortar are highly alkaline environments. Bare Galvalume and painted Galvalume sheets suffer rapid corrosion when in contact with mortar and concrete. Bare Galvanized and painted Galvanized perform better in this type of environment. Neither Galvalume or galvanized substrate is warranted to be used, in or around animal confinement or agriculture. Bare Galvalume and coated Galvalume panels will very rapidly deteriorate when exposed to the corrosive agents of animal confinement. But bare Galvalume and coated Galvalume panels have an outstanding corrosion resistance in a wide variety of general environments, including industrial, marine and even severe marine environments. And Galvalume offers exceptional heat reflectivity, resulting in lower energy load on buildings and improved interior comfort. That pretty much summarizes the key features of Galvalume versus Galvanized. 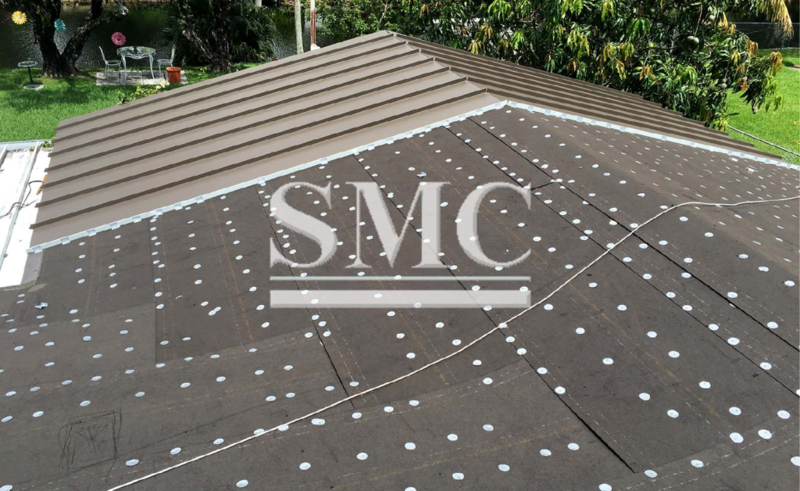 In a nutshell, Galvalume is a proven metal roofing material because of its strength, outdoor corrosion resistance, and longevity. The post was posted in Architects, Building & Homeowners, Contractors, Metal Roofing, Standing Seam Metal Roof Panels and tagged Galvalume, Metal Coil, Metal Roofs, Roofing Coil, snow guards, Standing Seam Metal Roof on January 15, 2013, by Mitch Gaber.